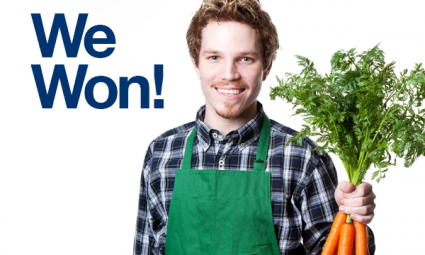 Ft. McMurray’s Thickwood Save-On-Foods Store Workers Win Big! It’s no secret that the thousands of workers at (formerly) Canada Safeway have had a tumultuous couple of years. In June 2013, Sobeys entered into an agreement with Safeway Inc. to acquire all of the Safeway assets, which was finalized in November of that year. Under the regulatory mandates of the Competition Tribunal of Canada, and as you know, the new owner (Sobeys) was required to close or sell several of its Alberta stores. It was a scary time for our nearly 8,000 Safeway members at the time and uncertainty about the future of collective bargaining was also a very unsettling reality. While these changes happened relatively quickly in most areas of the province, there was one place that remained in limbo… until now. In February 2014, it was announced that all of you at the Thickwood Safeway store would soon become employees of Save-On-Foods after parent company Overwaitea announced its intentions to purchase your store from Sobeys. Interestingly, Save-On-Foods stores in Alberta are under a “voluntary recognition” agreement with CLAC. Known as the Christian Labour Association of Canada, its founders with roots in the conservative Dutch Christian Reformed Church, CLAC is widely known as an “employer friendly” association and largely dismissed by the broader labour movement as not being a “real” union. Naturally, UFCW Locals 401 & 1118 were deeply concerned for the wellbeing of the 131 UFCW members at the Thickwood store. We quickly began pursuing the right to continue protecting and representing you through a legitimate collective bargaining relationship with Overwaitea. Given CLAC’s arrangement with Overwaitea/Save-On-Foods in Alberta, the battle began as they applied to the Alberta Labour Relations Board for a declaration that they should represent the Thickwood Save-On workers. Of course, both UFCW Locals 401 and 1118 made application to ensure we continued to be your representatives. In the ensuing months, the parties submitted evidence and presented their witnesses to the Labour Board regarding who is most appropriately suited to represent the workers in this little, yet important, store way up north. UFCW 401 is protective of all its members and we were determined to ensure our members at the Thickwood Save-On would continue to be represented by a real union. 4. Overwaitea is bound by any Code Proceedings and obligations between the UFCW Locals and Safeway including the Notices to Bargain served by Local 401 and Local 1118. This is a huge victory for our long-time Thickwood members! Your union could not be more pleased with the Board’s decision and plan to notify the employer of our intention to begin bargaining. Notice to bargain was sent shortly after the sale and now that these proceedings have concluded and the workers at the Thickwood Save-On are officially protected once again by a real union, we are ready to negotiate. We will be proposing to your employer that we commence joint bargaining with Local 1118 as soon as possible. We will notify all members of the Local 401 proposal meeting dates so you can all come out and be heard! It’s important to note that your current Collective Agreement will be the starting point for negotiations – we will not start from scratch. As always, we will be working hard to ensure we not only keep what you enjoy currently, but also improve it in the areas you identified as priorities. Congratulations!! This was a long battle and one that was worth pursuing. Stay in touch with your Union Rep, Abdi Guld, and let’s keep the positive momentum going.